Blake Shelton returns to the Sprint Center in Kansas City on February 15, 2019 with the Friends & Heroes Tour! 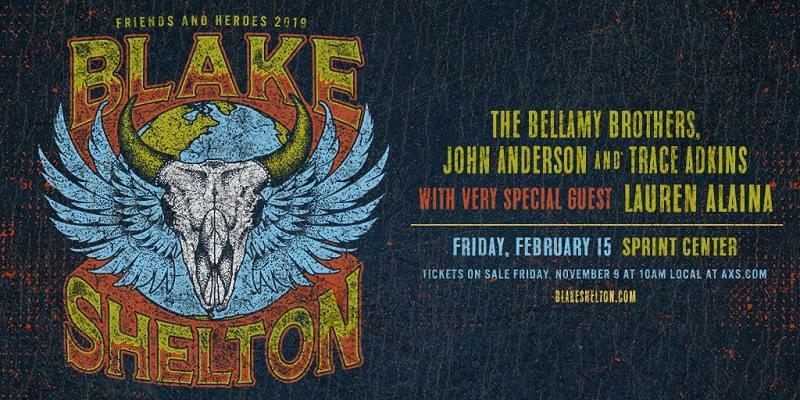 The Friends & Heroes Tour will feature special guest Lauren Alaina and special appearances by The Bellamy Brothers, John Anderson and Trace Adkins. Tickets can be purchased at the Sprint Center website.